Looking for a nice place to stay? Here we are to help you! Since the hotel is one of the most important things for a great stay, we are able to help you doing the ideal choice! 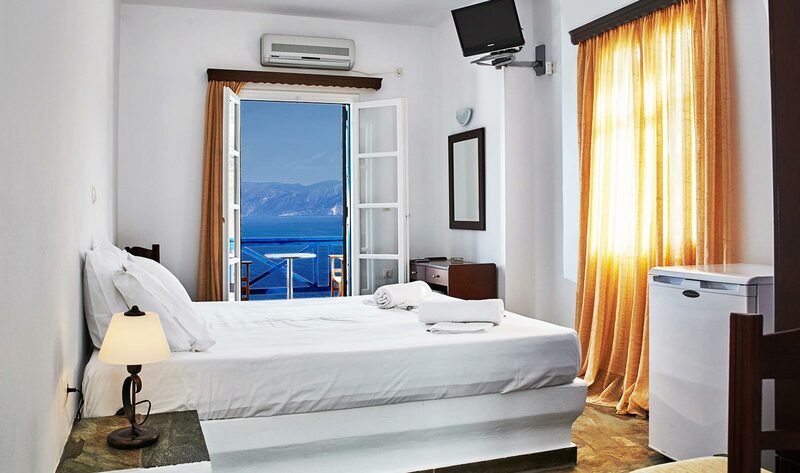 Give us information about your preferences (place, type of room, necessary services, number of guests, ideal price etc.) and we have the solution!!! The excursion to the island’s various beaches offers you a full day of rest and relaxation. All you have to do is climb aboard! 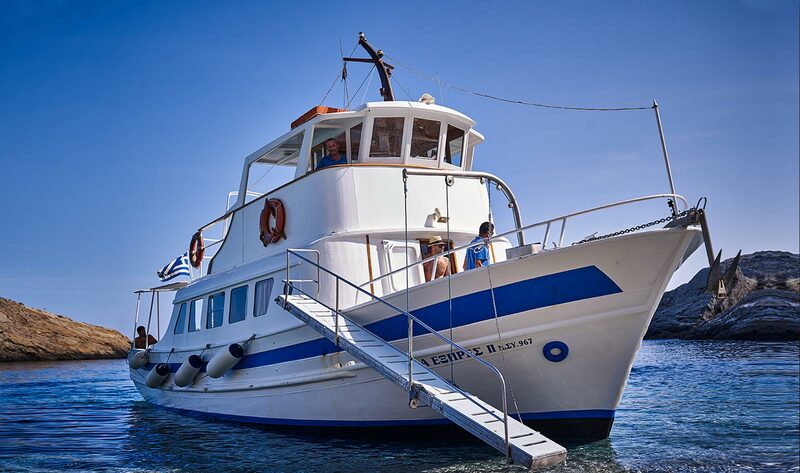 Leave the rest to the crew of “Stella Express II” which will take you safely to several beaches and secluded bays, depending on the weather conditions each time. Each stop lasts between ½ – 1 hour so that you can have time for a swim. There is a meal for everyone which is served on the boat in one of the stops – a dish of homemade tidbits, fruits and a traditional dessert accompanied with raki. The tour includes a short stop at one or two of the island’s caves where you cannot arrive by other way. There, you’ll have the chance to admire the scenery and take some photos. The reason why this excursion is worth it is that each passenger has the chance to go for swimming at five different beaches and bays in a single day which is a unique opportunity – some of those stops (bays) cannot be visited by any other way.Take advantage of this opportunity to explore the island by sea in the most relaxing way! 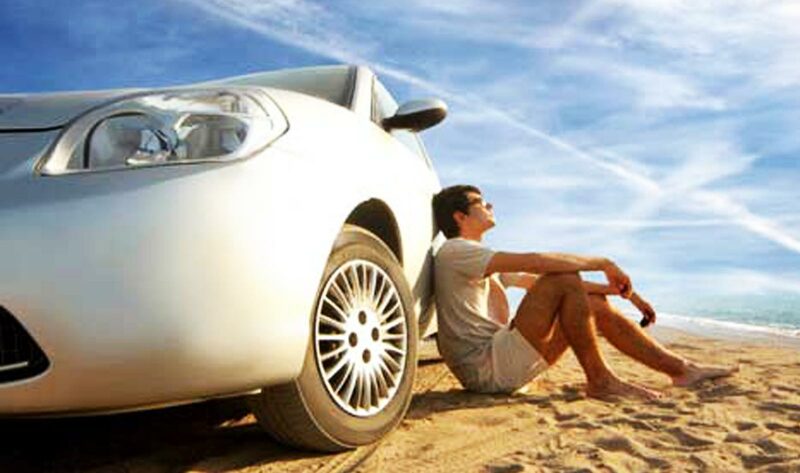 You need a car for your vacation? Leave it to us! 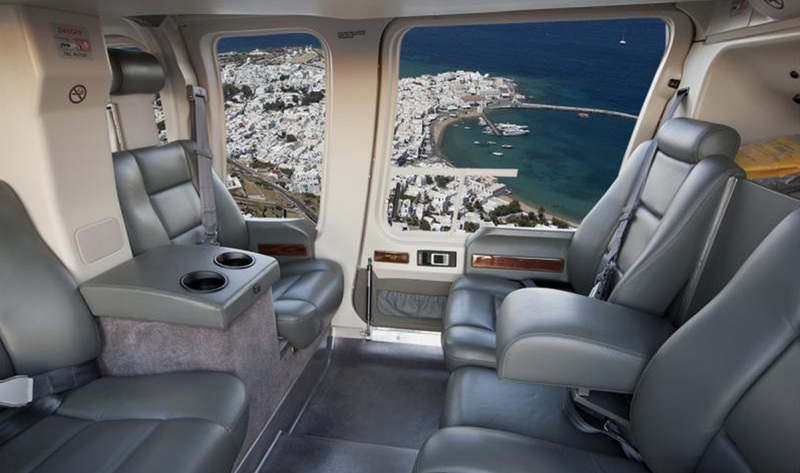 Make an unforgettable helicopter ride!! Choose between a simple transfer and a ride above the Greek islands (with or without stop for a coffee) and contact us for availability and price. Undoubtedly, a unique feeling!!! 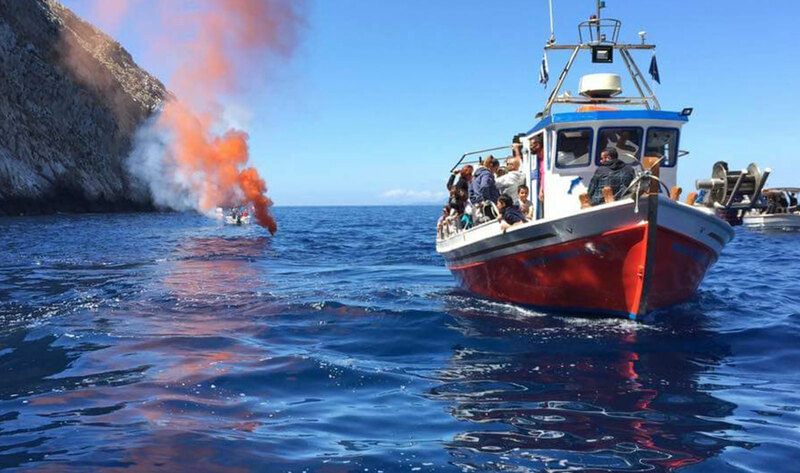 This excursion offers the unique opportunity to the visitor to live the experience of fishing with nets and to taste the authentic fish soup “kakavia” of the fresh fish that will be caught that day! Our fisherman will have dropped his nets beforehand (around dawn) and at around 09:00 at our harbor, Karavostasis, he will take you to his boat to sail and “lift” the nets together and see what you have caught. Then you will head towards a beach (it will depend on the weather which one will be) to anchor. There the crew will take the fish out of the nets, clean them and cook them for you. You can watch, help if you like and of course enjoy your swim until the food is ready. Time for the delightful meal and then return to the harbor at about 15:00. Check availability and weather conditions through our Diaplous office and book this tour in advance for an unforgettable experience! Plan your trip easily. Tell us your preferences and your budget and we will travel you! Each day, Zoja takes the group on hikes to sacred beaches and leads an asana and meditation class. Each night, Zoja curates dinner at a local taverna. There’s also plenty of time to relax on the beach, spend time on your own, or linger in the shops and cafes that line the ancient stone village. And, for those of you wanting a bit of pampering, Thai massage and Reiki treatments are available upon request. Curated has started to host world renowned expert yoga and spiritual guides. These incredible teachers guide the asana practice, while Zoja continues to host the entire retreat through the welcoming to the island, the leading of the hikes, and curating the dinners. Check out Schedule for this years Guest Teachers.